Bhartiya Janta Party had a smashing victory in Tripura after destroying a 25 years-long rule of the Left Front in the state. While BJP is all set form its government in Tripura, the party is also ahead to rule in another North-Eastern state Meghalaya after Manipur. The BJP will form its government along with its ally the National People's Party (NPP) together in Meghalaya, though the Congress won the largest number of seats. The BJP asked its ally to take a lead and NPP chief Conrad K Sangma is set to be the next CM of Meghalaya. On Sunday, Sangma submitted a letter of 34 legislators support to Governor Ganga Prasad in the 60-member assembly. The 34 legislators include 19 from the NPP, 6 from United Democratic Party (UDP), People's Democratic Front (PDF) four, two each from Hill State People's Democratic Party (HSPDP) and Bharatiya Janata Party (BJP), besides one Independent MLA Samuel Sangma. Sangma met the Governor in the evening. “We submitted a letter of support from 34 MLAs 19 of the NPP, six of the United Democratic Party (UDP), four of the People's Democratic Front (PDF), two each of the Hill State People's Democratic Party (HSPDP) and the BJP and an Independent," he said outside the Raj Bhavan. 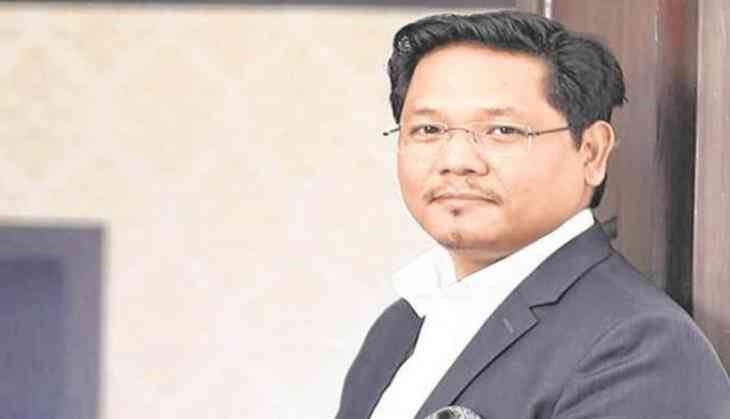 According to a media report, the regional parties -- UDP, HSPDP, and PDF -- extended support to the NPP on the condition that Conrad Sangma, the youngest son of former Lok Sabha Speaker P A Sangma, would be made the chief minister. BJP leader Himanta Biswa Sarma took a swipe at Congress president Rahul Gandhi. "I think top Congress leaders were sent to Meghalaya as they were told that they were the single largest party. However, they had no support from regional parties -- the latter are supporting the Bharatiya Janata Party (BJP). I feel that Rahul Gandhi sent four senior leaders of the party to Shillong without any calculation.It shows his lack of maturity," Sarma told Media. After the governor issues the invitation, the alliance will move forward to form the next Governor. The Meghalaya's CM Mukul Sangma submitted his resignation to the Governor Ganga Prasad, after his party, Congress failed to form its government despite majority win. "Since the whole election process is over, the chief minister has to submit his resignation, so I did. Further course of action will follow according to the convention," the outgoing chief minister told PTI. The oath-taking ceremony is likely to take place on Tuesday morning.